Happy October! 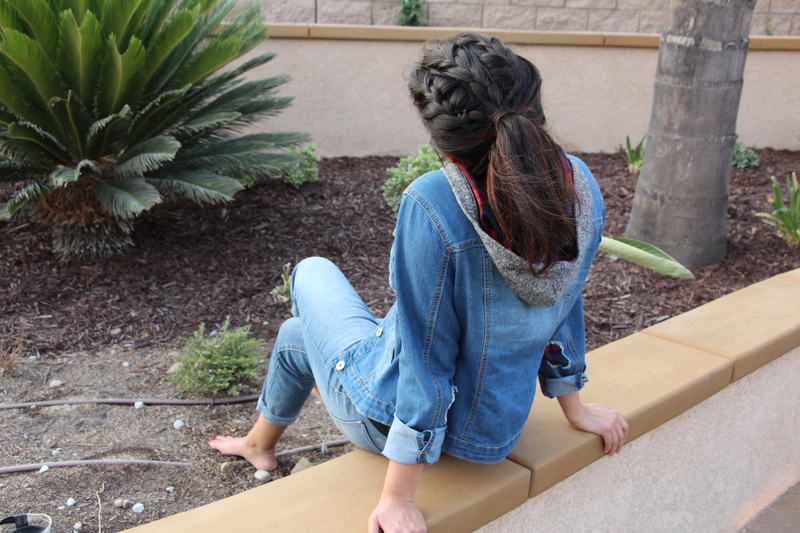 Today and I am very excited to show you how to create this triple french-braided sporty ponytail! This hairstyle is so cute and keeps you looking sporty and chic all day long. 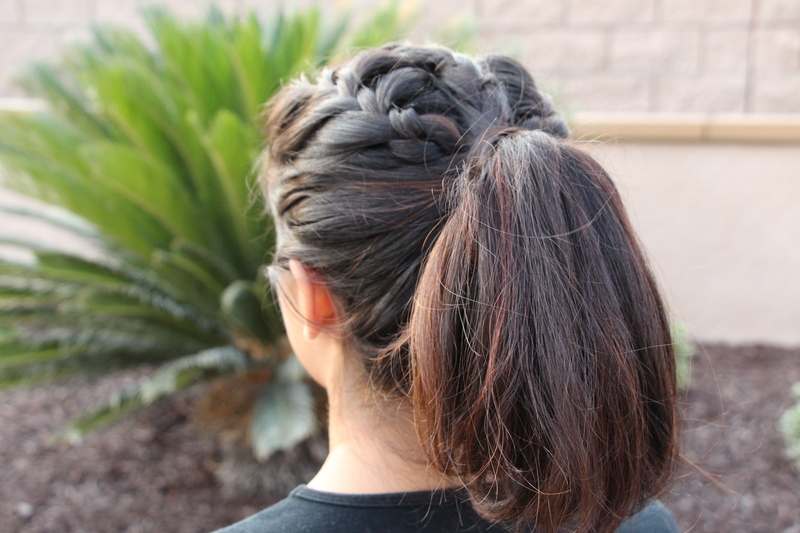 This hairstyle is great for many occasions including…. sports (obviously haha)! 1.) Start by gather up a section of hair from your temples to the crown of your hair and section it off. Then tie the bottom part with the hair band. Release the first section. 2.) now divide that top section into three smaller sections and tie off two of them with hair elastics. The sectioning does not have to be perfect or exact! 3.) 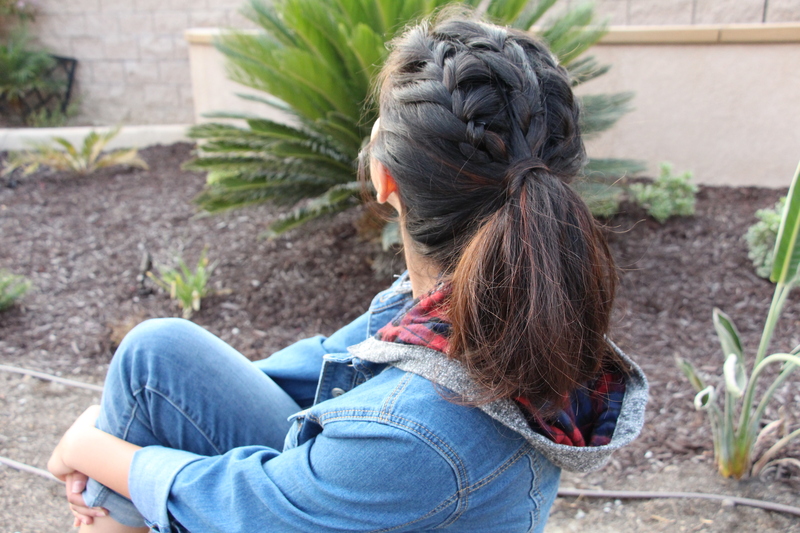 Starting with the loose section, do a french braid. 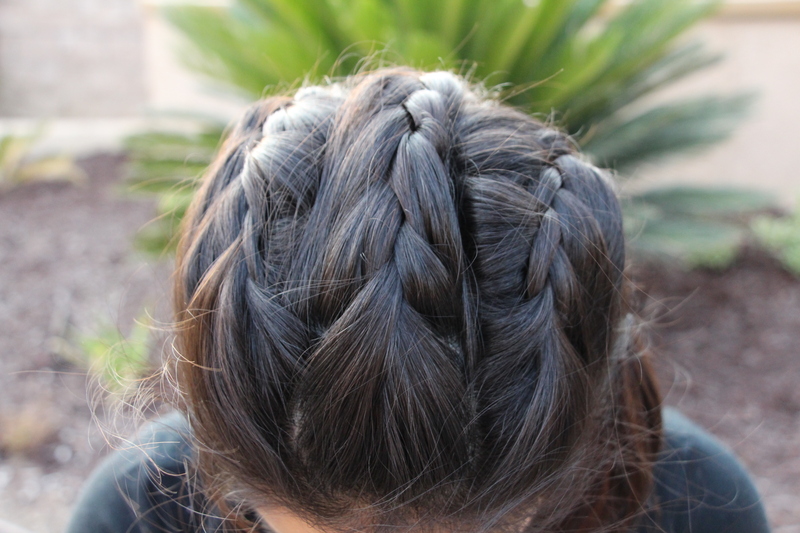 Once you run out of hair to add in, continue braiding a couple stitches and secure with a hair elastic. Repeat on the other two sections. 4.) 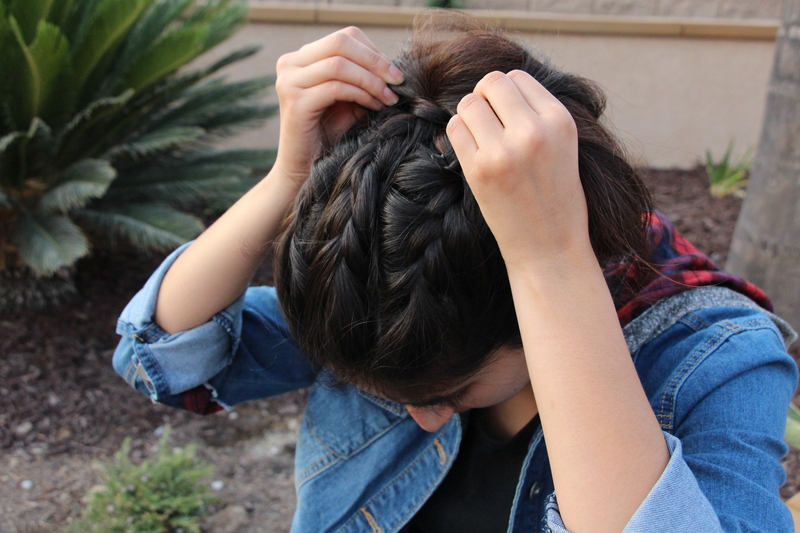 Release the bottom part of your hair and gather everything up (including the braids!) into a high ponytail. Secure with the hair band. Untie the smaller hair elastics. 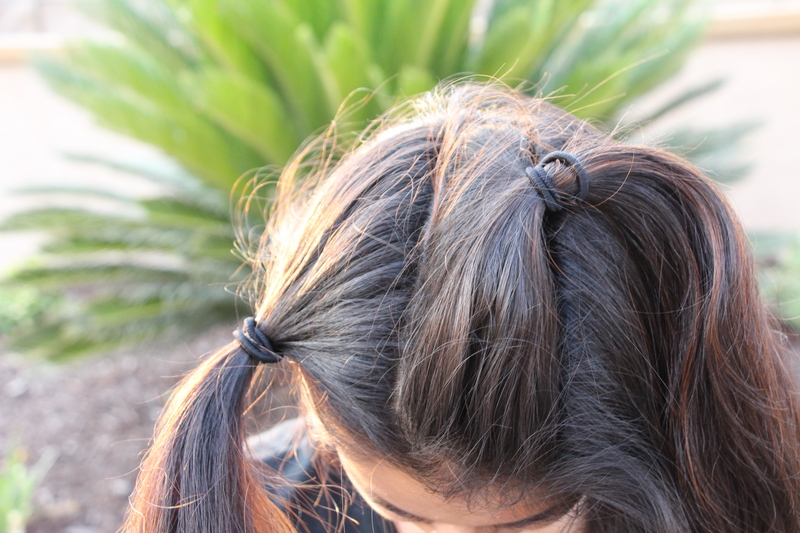 Grab a small section of hair from underneath the ponytail and wrap it around the rubber band. Secure with 1-2 bobby pins as needed. and that’s it! here are the final pictures! I hope you enjoyed this hairstyle! Be sure to leave a comment below and subscribe to this blog! Also if you have any hairstyle requests, please don’t hesitate to leave them here! My FAIL PROOF no-heat curls!